SARNIA, ONTARIO–Industrialized countries are facing a global disease epidemic. Every year, two million workers die of occupational causes, according to the International Labour Organization (ILO). Seventy-five per cent of these preventable deaths are due to work-related disease. Of these diseases, cancer is the biggest killer. The single largest contributor to this work-related cancer epidemic is exposure to asbestos, causing 100,000 to 140,000 deaths annually worldwide. The World Health Organization estimates that between 5 and 10 million people will ultimately die from asbestos-related diseases. Historically, Canada has been one of the world’s leading sources of chrysotile asbestos, the most common variety. Used in thousands of products for its heat-resistance, its insulating properties and its strength, over 300 million tonnes of asbestos have been mined in the last century. Most common uses of asbestos have been banned since the 1980s, but today it is used primarily in cement materials manufactured and used in developing countries. For over 60 years, the asbestos industry knew about the carcinogenic potential of asbestos, but actively kept this information from its employees and the public. Since the information became widely known, insurance claims and lawsuits forced American asbestos manufacturers in the United States out of business; many are under bankruptcy protection. Among industrialized countries, Canada has remained essentially alone in failing to acknowledge and act upon cases of mesothelioma and other asbestos-related cancers and respiratory diseases. Two recent reports – one on asbestos-related diseases in Quebec, the centre of Canadian asbestos mining, and the other on work-related mortality in Canada – reveal a startling set of findings. In the case of Quebec, the government report found rates of mesothelioma – a disease caused almost exclusively by exposure to asbestos, in which malignant cells develop in the protective lining of the body's internal organs, and for which the prognosis is poor – to be some of the highest in the world. The report on Canadian occupational mortality, entitled “Five Deaths a Day: Workplace Fatalities in Canada, 1993-2005,” estimates asbestos-related deaths at almost 31 per cent of all workplace fatalities. The authors further suggest that almost 70 per cent of the increase in workplace fatalities between 1996 and 2005 was due to asbestos. In industrial communities such as Sarnia-Lambton, Ontario, the toll of asbestos-related disease has been devastating. Sarnia-Lambton is home to a large petrochemical complex that produces approximately 40 per cent of Canada’s chemicals. The community has age-adjusted rates of mesothelioma that are comparable to some of the worst international asbestos disease hot-spots, such as areas in Scotland, where shipbuilding exposed tens of thousands of workers to asbestos. The asbestos disease tragedy in Sarnia-Lambton has garnered national and international media attention. Between 1999 and 2008, the Occupational Health Clinic for Ontario Workers (OHCOW) recorded and diagnosed approximately 700 workers or family members with asbestos-related cancers or asbestosis, a chronic inflammation of the lungs. Over 1,000 of the asbestos-exposed workers with pleural plaques are being examined at Princess Margaret Hospital in Toronto with the use of low-dose CT (medical imaging) scans in the hope of detecting lung cancer in its early stages, when is still treatable. Major health organizations, such as the International Agency for the Research of Cancer (IARC), the Collegium Ramazzini, the US National Toxicology, and the WHO, classify all forms of asbestos as human carcinogens and have determined that there is no safe threshold of exposure to the chemical. In 2007, the Canadian Cancer Society joined the above-mentioned organizations and called for the "elimination of exposure to asbestos." The government of Canada maintains that Canadian asbestos –chrysotile, or white asbestos – is a weak carcinogen, despite scientific consensus to the contrary. In fact, the federal government provides economic and political support for the asbestos industry and helps to maintain global asbestos markets by funding the industry-sponsored Chrysotile Institute over $20 million. Ottawa also exerts diplomatic pressure on behalf of the industry, funds legal challenges and defends against economic threats. 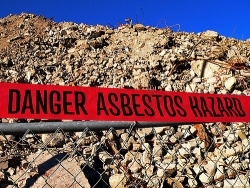 The Canadian federal government brought a legal challenge to the World Trade Organization (WTO) to reverse the European asbestos ban, but in 2000, the WTO ruled in favour of the ban, saying Canada was unable to disprove evidence regarding the carcinogenicity and other harm to human health caused by exposure to chrysotile asbestos. Canada unsuccessfully appealed the decision. At the time of the WTO dispute, Canada was the world’s largest exporter of asbestos. While asbestos is still mined in Canada, it is now more profitably mined in developing countries. However, Canada continues to work in tandem with the global asbestos industry by providing technical expertise and political influence. Canada’s generally positive global reputation allows it to promote this hazardous substance with minimal scepticism. The Canadian government has blocked efforts through the United Nations to have chrysotile asbestos included in the Rotterdam Convention, a global treaty that obligates producing countries to warn of the possible harm posed by their exports – essentially a right-to-know treaty for toxic substances. Recently obtained federal government documents contained briefing notes for Gary Lunn, Minister of National Resources, which explained Canada’s opposition to the Rotterdam Convention. A group that included Gary Nash, an assistant Deputy Minister and former founding President of the Chrysotile Institute in Montreal, prepared the background information. The documents reveal that the international asbestos industry is intentionally keeping the price of chrysotile asbestos inflated so Canadian mines can remain competitive, allowing the Canadian government to use its international standing to promote and protect the global asbestos industry. The Globe and Mail reported that “federal officials believe there is a type of informal quid pro quo operating in the industry, with Canada using its good image abroad to promote asbestos, in return for foreign companies treating Canadian miners with kid gloves in the battle for market share." The document, which was prepared by high-level bureaucrats for the Minister, stated, "Foreign producers tolerate higher-cost Canadian producers because of Canada’s leadership and credibility in promoting the safer use of chrysotile." A blacked-out bullet point follows. The document goes on to say that lower-cost producers could, at will, "...withdraw support for the Canadian chrysotile industry in that they could easily reduce prices to eliminate Canadian competition," revealing the global strategy of the asbestos industry. Rather than have the Canadian industry forced out of business by global competition, asbestos-producing countries will tolerate an artificially inflated price in order to maintain the Canadian political and diplomatic role in defence of asbestos. The true extent of the asbestos disease epidemic continues to be hidden from the Canadian public. Every year, hundreds of cases of mesothelioma are diagnosed while the majority are never submitted to the provincial compensation boards. Other asbestos-related cancers are left almost totally unrecognized and uncounted. The lack of public and medical awareness about the true extent of these diseases leaves individual workers and their families suffering and grieving without acknowledgement and support. Meanwhile, the public healthcare system is forced to cover the costs of treatment that, by law, should be borne by employers through compensation insurance. This public health and social policy scandal has brought together a growing number of voices that are demanding an end to Canada’s century-long failure to protect workers from preventable asbestos diseases. A national network of trade unions, environmentalists, medical and scientific associations and victims’ groups have formed an organization called Ban Asbestos Canada. A ban would end the export of Canadian asbestos and disarm the global asbestos promotion campaign that has been based in Canada. It might also help restore a semblance of credibility to Canada’s reputation as a just, caring and equitable nation. Since the writing of this article, Canada successfully opposed the addition of chrysotile asbestos to a global dangerous-substance register at a conference in Rome, Italy. This article was adapted from a longer version first published in the International Journal of Occupational and Environmental Health, entitled "Canada's Asbestos Legacy." Margaret Keith and James Brophy are cancer researchers, currently involved in two breast cancer studies. They have each worked in occupational and environmental health for 30 years. Submitted by Roger on Mon, 2009-01-26 16:41. As a person whose life has been personally affected by Mesothelioma, I really appreciate this article. After being diagnosed with this horrible disease, the two things that go through your mind are (1) What are my treatment options? and (2) What are my legal options? Well, this article answers number 2. In addition to using the information in this article, used Mesothelioma Attorneys (the web's largest database of mesothelioma attorneys) to locate a lawyer near me. Mesothelioma is truly a tragic experience to go through - not only dies it affect the person diagnosed but the entire family. Victims are truly blessed to have the government on their side when it comes to these court rulings. Submitted by ShyannAutumn on Mon, 2010-09-13 22:24. I lost my father to Asbestos related lung cancer just over a year ago. I was just wondering if you knew if any family members can be financially compensated for their loss? Submitted by Robert R (not verified) on Wed, 2011-02-23 00:21. You may be interested in the Norwegian Sovereign Wealth Fund's "list of shame" page, which has further links explaining the policies and methodology that make this national investment fund a global leader in ethical investment. Canada would do well to follow its example in its investment of taxpayers' money and such other income as they may collect. Canada's ethical investors may be interested in the list, as well. 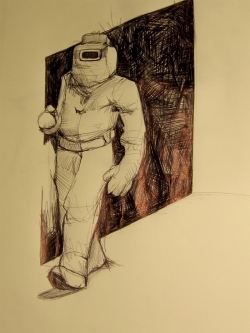 Submitted by Nate (not verified) on Sun, 2011-05-15 00:25.